From June 16 through 24, roughly 50 other people and I took part in a tour organized and conducted by Henri Harper (a Community Outreach Officer for the Iowa City Police Department) and greatly assisted by Jesse Case and others affiliated with Teamsters Local 728. Most of us were black youth from Iowa City. I greatly enjoyed being with them, hearing them react to what they saw and learned, and I loved cheering for our basketball team when it made a great rally against a much larger team in Birmingham. 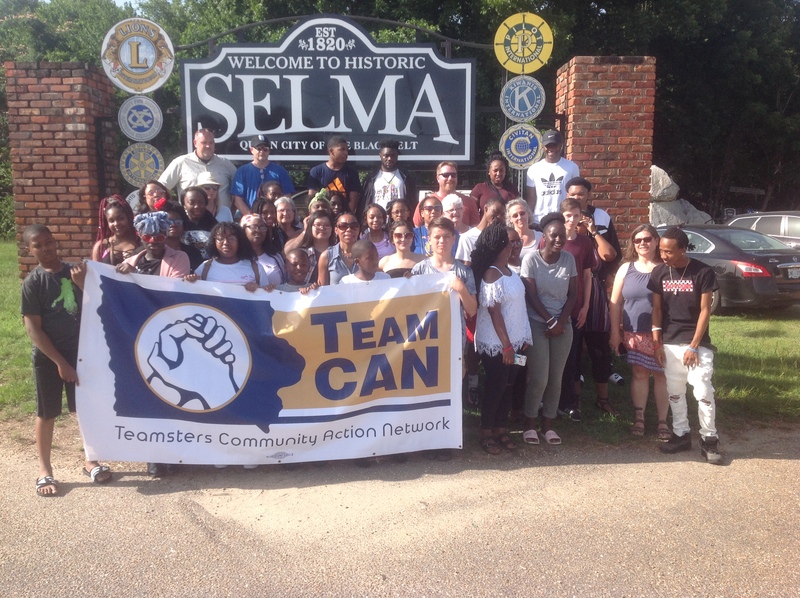 It proved to be a very enlightening, inspirational, and emotionally-powerful tour, which involved visiting a large number of Historically Black Colleges and Universities, museums, and sites of important events in American history. In Memphis, we visited Slave Haven Underground Museum, the Stax Museum of Music, and the Lorraine Hotel / National Civil Rights Museum. In Birmingham, we met with Mayor Randall Woodfin and members of the city’s Fire and Rescue Departments; visited with officers of the City’s Police Department and its YouthFirst facility; and went to the 16th St. Baptist Church, the Birmingham Civil Rights Institute, and Kelly Ingram Park where dogs and fire hoses had been used against children back in 1963. In Selma, we walked across the Edmund Pettus Bridge where State Troopers on horseback had attacked marchers with tear gas and billy clubs. 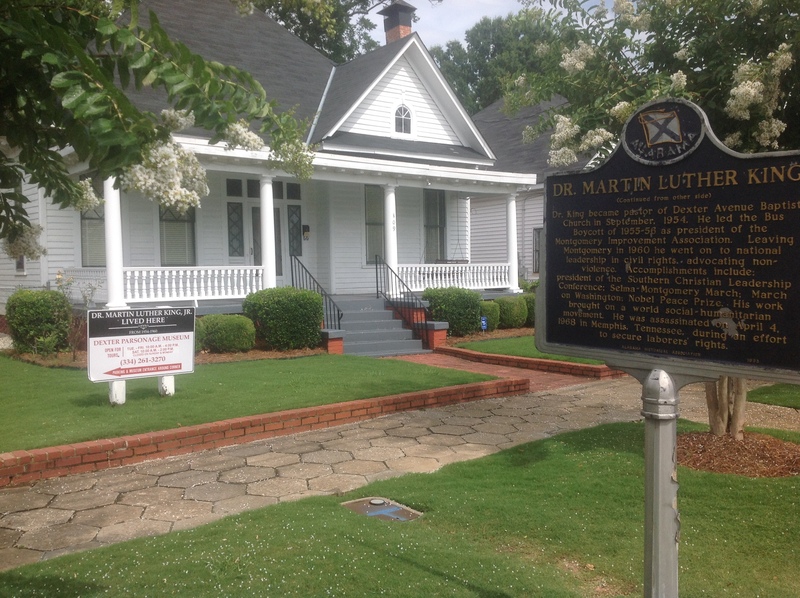 In Montgomery, we explored the First White House of the Confederacy, the Rosa Parks Museum, the Civil Rights Museum / Wall of Tolerance, and the Dexter Avenue King Memorial Baptist Church. And in Atlanta, we visited The Breman Jewish Heritage and Holocaust Museum, the Ebenezer Baptist Church / King Center, and Dr. King’s birth home on Auburn Avenue in Atlanta, Georgia. Let me share with you just a couple highlights. Imagine yourself walking into the Dexter Ave. Parsonage in Montgomery, Alabama. The interior of the home is furnished much like it would have been when it was Martin Luther and Coretta Scott King’s home during the 1954-60 period he was pastor at the Dexter Ave. Baptist Church. You walk from room to room feeling the Kings’ presence. You come to the kitchen. While you are standing in it, the tour guide tells you she’s going to play a recording of King describing what happened one night in January 1956. At that time King was 27 years old, two years into his role as pastor. Over the past month, he had been leading the Montgomery bus boycott, which had led to a series of death threats delivered via mail and phone to his residence — as many as 30 to 40 calls daily, often at night. Normally, King could put the phone down and go back to sleep. But one call, on the night of January 27, 1956, stood out. The tour guide plays the recording. A few days later, their house was bombed. After departing the parsonage, we visited the recently opened Legacy Museum in Montgomery @LegacyMuseum . A “narrative museum,” it tells the history of black Americans from enslavement, through the “Jim Crow” era of lynching and racial segregation, through the heroic actions of the Civil Rights Movement, to the present moment of mass incarceration and retrenchment. Again, imagine yourself with us. Shortly after you enter the museum, you turn down a darkened pathway lined with replicas of slave pens. Looking into the first of the pens, you see a hologram of an enslaved black woman waiting to be sold at the nearby auction block. She begins speaking directly to you. You feel like you’ve just encountered the ghost of a mother who was about to lose her husband and children. It is an emotionally shattering experience. Every American would benefit from exploring it slowly and then telling friends about what they learned. This entry was posted in Field trip reports, Iowa City, Newspaper columns, Uncategorized and tagged Civil Rights Movement, Historically Black Colleges and Universities, Iowa City, labor movement, Legacy Museum, Teamsters. Bookmark the permalink.